Be warned, though, that something else happened in the schematic. Do you see it? The pins were swapped on R3. 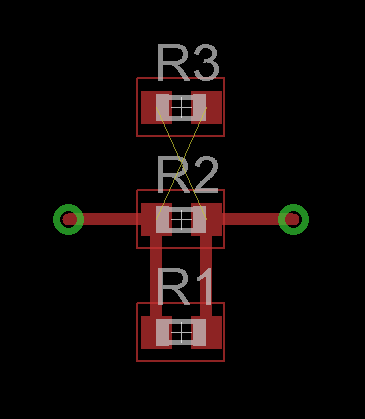 R3 now needs to be rotated in the schematic. All pins with the same swaplevel can be swapped using the 'Pinswap' tool. Pins with swaplevel '0' cannot be swapped at all. 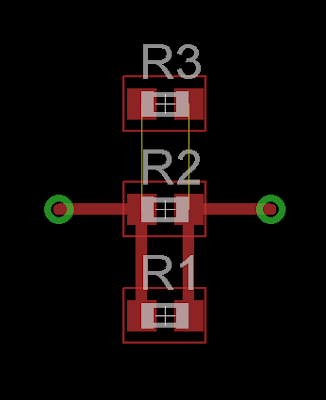 So, for a resistor, both pins could be set at swaplevel '1', signifying they can be swapped, and swapped with eachother. 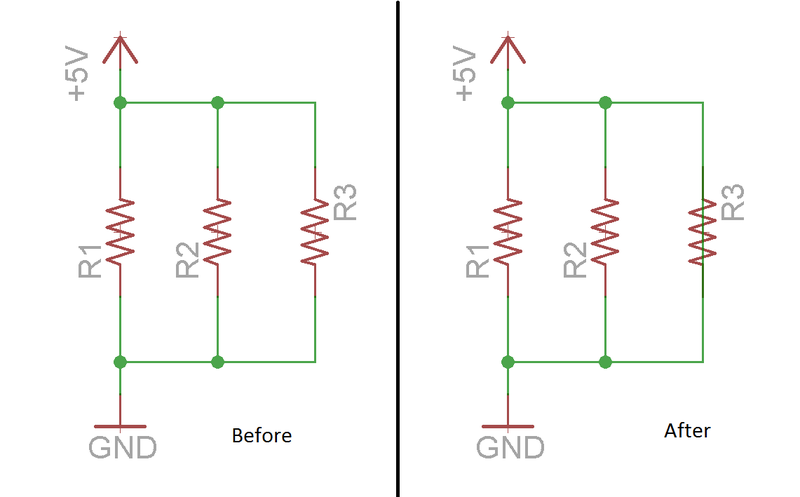 Swaplevel only makes sense on mostly passive devices such as capacitors, resistors, and inductors. Perhaps it might come in handy on the coil of a relay. Swaplevel could also be used, however, on generic connectors. Say you have a 3 pin serial connector with Gnd, Rx, and Tx. If you decide that Rx and Tx are reversed, you could simply swap the pins. Swaplevel does not make sense on semiconductors, or numerous other components. 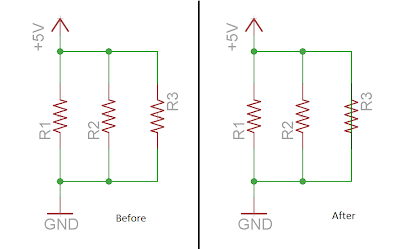 For example, the pins of a diode may not be swapped, because they are functionally different. In all honesty, thought, I have only ever used 'Pinswap' a handful of times. The functionality can be duplicated by just deleting nets and rerouting. However, in the few times I've needed to use 'Pinswap', it was nice to have a device with appropriate swaplevels in the library.